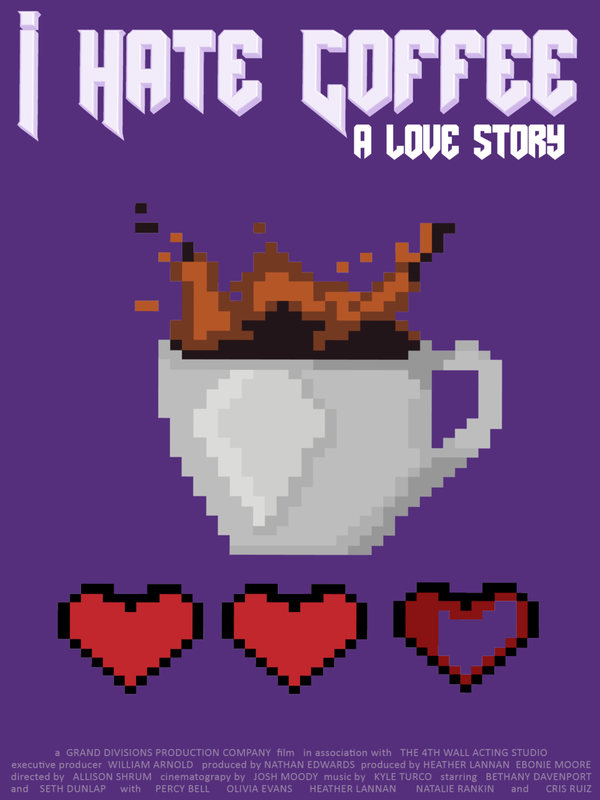 A story of love in a time of overly-hipster coffee cults, this hilarious short produced by the 2018 Tuesday night class at the 4th Wall Acting Studio for the GDPC/4th Wall Short Film Challenge will make you question your loyalty to java in all the right ways. The film stars Bethany Davenport at Fowler and Seth Dunlap as Deacon. It features a great cast of supporting actors including Percy Bell as Torsten, Cris Ruiz as Daryn, Olivia Evans as Sage, and Natalie Rankin as Derienne. Twenty-one year old Allison Shrum show her exceptional directing vision with her interpretation of the original screenplay by Knox Hargrove. The short is produced by Nathan Edwards, Heather Lannan, and Ebonie Moore, with cinematography by Josh Moody and music by Kyle Turco.